Good Morning Amy, thank you for this lovely chance at winning your give-a-way . . . I am very excited. I am a sit-down quilter with much to learn. This sounds like a wonderful resource. I quilt on my Janome Horizon, no room or budget m for anything larger. Thanks for offering this giveaway. Hallo Amy and good evening / here in Europe/ :-). I will be delighted if I won this book. I am delighted to learn from You and other quilters via Internet- thank you for your time and generosity. Thank you for the chance to win. I am a 'sit down' quilter who uses a Juki TL2010Q for smaller projects and an APQS George for larger quilts. I just purchased a Juki TL2010Q so this sounds like a good resource! 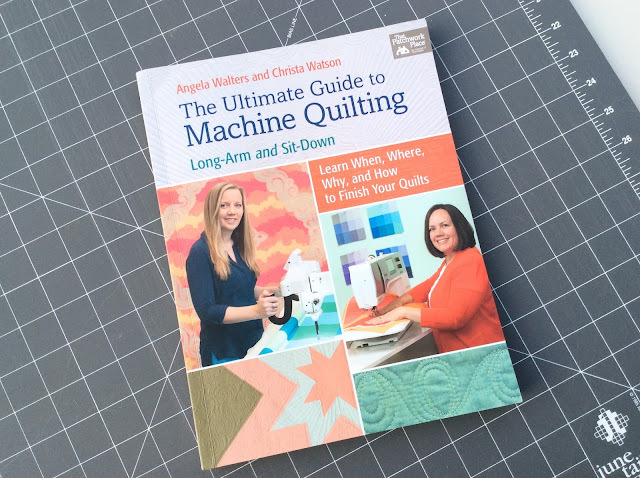 I'm really trying to get better at quilting on my domestic machine and I know this book will help me do that - I've heard rave reviews about it! Please enter me in the giveaway!!! I would love to have this. I took one on line class from Angela at Craftsy and I learned so much. This would certainly be a terrific resource. I requested out local library buy this book! They did and I am enjoying! I will be getting my own copy for future reference! If I don't win your giveaway copy, that is! Thank you for the chance to win. It looks like a very useful book. thank you for the chance to win this wonderful book...now that i have started to learn machine quilting a book like this would be amazing...thanks to your youtube channel and your log cabin wholecloth which was the inspiration for me learning to fmq and your facebook page has been a god send in my learning adventure ....i am doing the last border of my king size dresden plate quilt on my domestic machine which i would never have achieved without you and that is only after 4 months of learning from you ...thank you amy for your love of sharing...you are definately my hero!!!! I really need to study this book and learn, learn, learn more. My skills are only so so. It will be a must buy for 2016. Amy, I've been quilting for two years now and discovered your blog soon after I started. My husband bought the 1/4" FM foot for my Janome and several rulers for me that first Christmas. I've been happily FMQing ever since! Still have so much to learn though and would love to win this book! Thanks for the chance and for all of your inspiration! Morning Amy, I've seen the book several times this past week and really would like to have it. Thank you for the chance to win it. I quilt on an older HQ16. I admire both these authors--they are awesome quilters, so I'm sure the book will be great. I wasn't able to enter through the link--I guess it doesn't like me--lol! 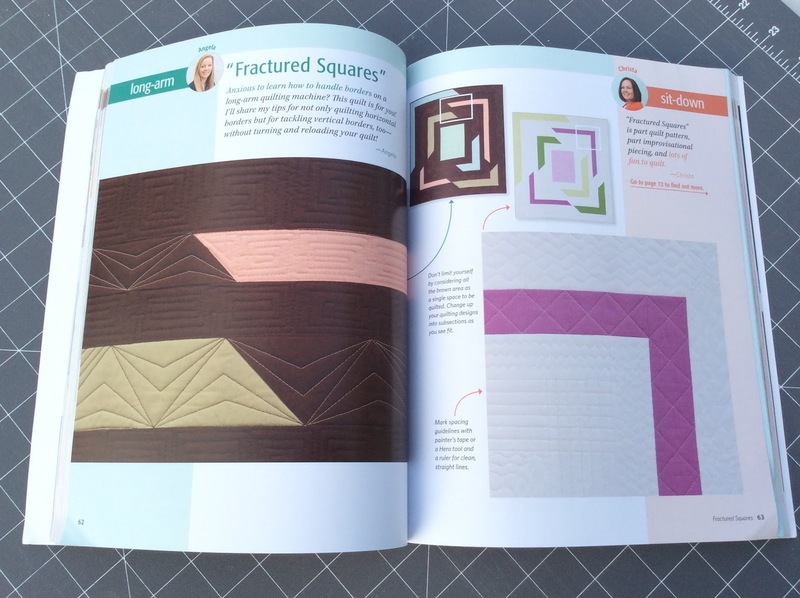 Thank you for the opportunity to sign up for the free motion quilting book. Both of the authers I follow and enjoy learning from you all. Enjoying the Craftsy class and look forward to your second one.